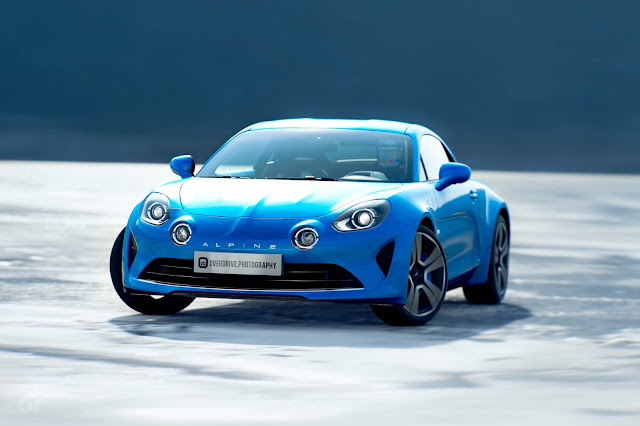 Alpine A110 is a mid-engined sports car that premiered at Geneva last year. Both the name and design are inspired by the same model manufactured by Alpine between 1961 and 1977. The company itself manufactured cars between 1955 and 1995 and was always closely related to Renault to which it belongs since 1973. The new A110 is claimed to compete with Porsche 718 Cayman and Alfa Romeo 4C Coupe. Last month's news was that a pre-production example burned to the grounds during filming of the new season of Top Gear.